Scale your Food business by taking benefits of digitalization. As you already know nowadays there is a craze of Mobility. Mobility can give you many different ideas to make your Food business brand, grow your sales, earn customer loyalty, Customer engagement & much more. So plan your new era of digital assets On Demand Food Delivery App Development Company India serving USA, Germany, France, Lebanon, UK, Switzerland for growth with FoodAppsco and you will feel amazed when working with our core expertise in developing Food Delivery & Ordering solution for Food Business. 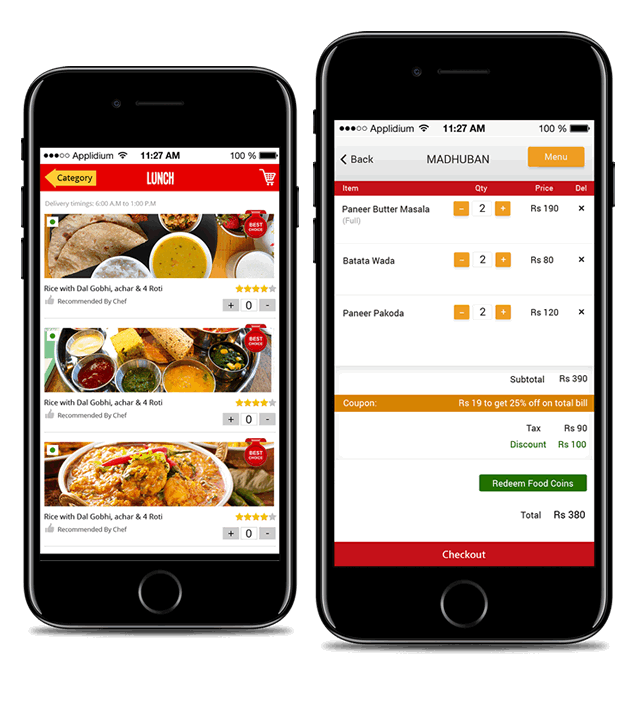 We have years of experience in Food delivery ordering mobile apps development services for the different type of Food Establishments. List your restaurant menu show prices, restaurant images, specialty, directions, direct call button, etc. Increase your sales by taking more deliveries / takeaway orders & take payments online or offline. Customer need not stand in a queue he can book the table in advance so that you can manage the reservations. Give loyalty points for each visit of your customers so that it increases your brand value. Start B2B Marketplace On Demand Food Delivery platform for your nearby restaurants with online food delivery & ordering features on web & mobile apps. Not getting enough ‪food orders in conventional ways? Get a Food ‪‎app from Food Apps Developers India‬ and enter a new world of opportunities. Mobile Apps for your Food business is one of the best ways to increase your business orders. through a mobile app, your customers can easily order their food without any trouble. they easily join you on social media and easily do payment with distinctive payment options. Here are the few benefits of having mobile apps for your business. Provide reward points to your customer on their visits or orders to make them loyal to your business. They can make table reservation or order food from mobile apps. You should have the mobile apps to strike out distinctive value to your customers. Send special offers or latest happenings details to your customers on their smartphones. Customer can see Food menu & order from respective table in your restaurant. Addition of orders result into increase in your Food business revenues. See what our patrons speak about us, we always work tough to get these remarks which are a result of our outstanding customer service in every Food apps development project. Reach us today and let us know about your Food business, we will work on your requirements and suggest you best feasible digital solutions to scale your profits.